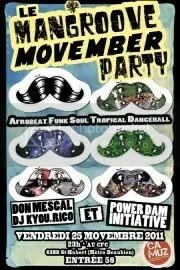 Après la folie de la soirée Halloween, Mangroove revient le vendredi 25 Movembre avec nos amis du Power Dam Initiative. Cette soirée vous l’aurez compris sera autour de la moustache et aura également pour vocation de soutenir le mouvement MOVEMBER ! Ainsi, chaque personnes pourra s’il le désire laisser une donation pour encourager la luttre contre le cancer de la Prostate ! Alors, faites vous pousser la stache et succombez à la folie légendaire du CFC et des soirées Mangroove. Nous remettrons durant la soirée le titre de Mr Movemeber et de Miss Movemmber ! Quand trois DJ montréalais décident d’unir leurs efforts pour vous donner des mix qui vous feront bouger le bassin, ça donne THE POWER DAM INITIATIVE. Que ce soit du funk, soul, hip hop, afro beat, ou de la samba, rien n’est laissé de côté afin de vous faire brasser le derrière. Le party au bureau ou dans votre salon ? Il suffit de cliquer et d’apprécier ! à partir de 22h jusqu’à 23h. Speakeasy Electro-Swing Montreal show in Montreal at Sala Rossa promises to be treat with our DJ’s Eliazar, Don Mescal, and Khalil. The visual entertainment with be on the silent movie theme by our own VJ BXL.This month we have a Vaudeville theme with dancers, body painting, and performances to razzle and dazzle you throughout the night. To start off the night, we will be having free swing dance lessons brought to you by the Studio 88-SWING from 10-11pm with the electro swing grooves warming you up.There will be a contest for the best dressed lady and gent at the event , the prize being a pass to every Electro Swing event for the year. This round is only $8 for all the fun and entertainment of the evening… with a free mix cd of electro swing goodness free for the first 50 visitors to our soiree. Come dressed in swing style to keep the groove alive, and part like it is 1929…..
Soyez parmi les premiers à surfer sur cette vague et joignez-vous au rendez-vous mensuel que nous vous proposons. Last September, one of my favorite producers, Dunkelbunt was in town with his band, The Secret Swing Society. Montreal was the first step in his north America Tour. I was so excited to see him play live with his band, and DJ at The Speakeasy Electro Swing at Sala Rossa in Montreal, 29 September 2011. I had the chance to meet the man himself in Parc Lafontaine and got to spend a while with him chatting at the lakeside. Can you talk to us about your musical background ? You know we are sitting here in the park in front of this beautiful lake. So just the sound of a nature is a source of inspiration for me, not only the music. This is all music for me. I started to play piano when I was 6. My sister played piano too. My mother sang a lot. I was raised in a musical atmosphere. When did you decide to make music ? At first when I was young, I liked to play something, try some improvisation and play with the sound. Later, when I was fifteen, I started to make music with my computer. I was introduced to the music of » The Prodigy « , the first album with all this drum and bass, and hip-hop stuff. I started to analyse a lot of music. I was really curious about how they produced it, and it sounded so far away . It was so intense. I like to fuse the electronic sound with the organic sound. What do you prefer the most ? I don’t think I prefer anything the most. What is touching me a lot is oriental music today. Just the last days or weeks I have been listening to a lot of Turkish music and Arabic music. I always feel it touches me. I feel I need to go to Istanbul. What do you think about the new scene of electro swing ? One of your song hit is Cinnamon girl is a big hit in The Electro Swing scene. For my point of view it is nice to see how it developed. I put my attention to this music a long time ago. I could see maybe about 10 years ago people started to dj swing, but not only swing. When we played Balkan stuff we also played swing and manouche swing. I think the growth of the Balkan music helped to build the swing revival. What do you think about your first live tour in North America ? It is really new for me and really exciting . I really enjoy the company of the band members and the feeling of the vibe on the tour. Bringing this music to the people is fun. My next project is to make a cd for children with kids songs, but in a Dunkelbunt style with a lot of electronic and dubby stuff. This has been on my mind for a couple of months. I don’t think too much about my next album, I just give one minute everyday to think about it. I like to grow very slowly and very deeply. For the next album, I want to do something completely different from what I have already produced. I don’t want to repeat myself. When I m in the studio I always want to have be challenged. I have to learn something new. Singing a new way, playing a new instrument. Can you explain to us your process of creating a song ? Sometimes it is the duck. (laugh) like he is doing right now. I feel it is when I want to produce, using the sounds of the duck, and adding some effects to it can work. When I have a melody in my mind I can start from there, or I take samples from somewhere and I built an another picture around it. So every time it is different. Sometimes it begins from the beat, sometimes it starts from a melody. Sometimes, I think about the fusion of the two, as I like to put a lot of different things together. I have a big relationship with sounds that have a picture, a color, a texture. For me every song and very key has a different color. Did you listen a lot of music. Or dig a lot of music ? From 2001 I remember I downloaded my first mp3. I like to cook. I always joking about it. I would love to upload some samples of food to the people. I am a kid of the wild generation. I have access to music from all over the world with mp3s. I have built up a large knowledge of music. I think this is really important for music to travel. Ok there is a part of it that is not legal, and the artist is losing a lot of money. You don’t have to spent money on producing music, you can just send it to your mailing list and hit the button and you know in 5 minutes 1000 people have this song. Everywhere in the planet from Australia to Canada. I also support the music when I am djing and I play wav. I don’t like to play mp3 because you the quality of the sound is not good. I want to support the people so I only use the wav. Attention, l’album SOUL de l’année est dans les Bacs. On peut remercier Pierre Chrétien, leader du Souljazz Orchestra, pour nous offert cette pépite soul-funk. 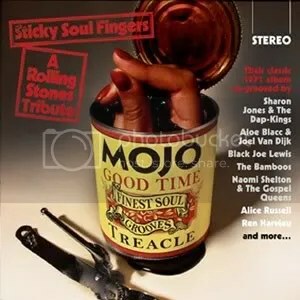 Son association avec le chanteur Gary Slim Moore fonctionne à merveille sur ce disque. La formation d’Ottawa en profite pour créer le label Marlow Records, la version canadienne de Daptone Records. Pierre chrétien A.K.A. Thibeaux Toussaint, comme tous les autres membres du groupe a pris un pseudo pour ce nouveau projet. Ils sont accompagnés sur disque par le One Faith Gospel pour les chœurs. 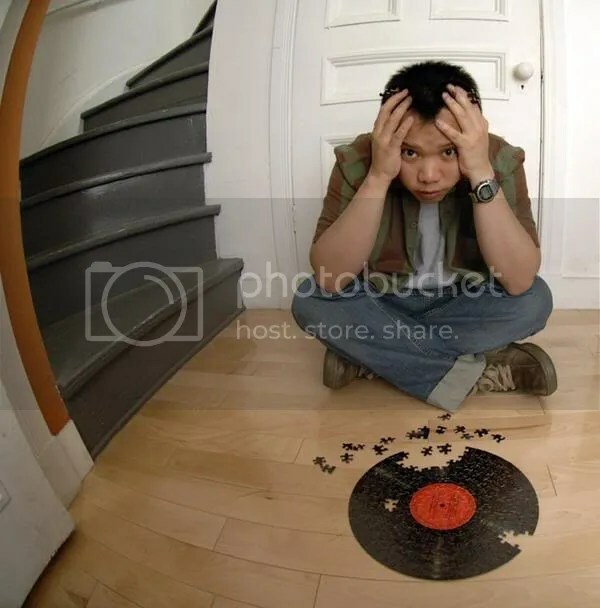 L’album à été enregistré au Metropolitan Studios sur une console huit pistes afin de donner une vraie couleur black à cette galette fantastique. A noter la très belle reprise du légendaire Because I’m black de Syl Johnson. Pour cette soirée spéciale nous invitons Dj Touski, le roi du balkan à Montréal – il nous servira un set Explosif de musiques Balkaniques. Fondateur et DJ résident des légendaires soirées Balkan Beat qui enflamment Montréal au moins une fois par mois. Touski est DJ, blogueur et maniaque de musique des Balkans/Gypsy et autres gâteries venue de l’Est. Il revient d’un voyage en Russie où il a joué à Moscou dans le cadre des soirées Balkanisatsia et en Serbie, à Guča, véritable mecque de la musique de Brass Band. Il a participé à plusieurs évènements culturels dont le Festival Pop Montréal et Coup de Coeur Francophone et il a joué avec certains des plus gros noms de la scène Balkan Beat Européenne. (Mahala Raî Banda, Slavic Soul Party, Max Pashm, Al Lindrum..) DJ Touski propose un set explosif de la musique la plus festive qui soit et promet de faire danser les plus résistants sur ses beats venus de l’Est. Le mot “touski” désigne, au Québec, un plat préparé à partir de “tout ce qui reste” dans le frigo. Pas besoin d’une recette, que de l’imagination et un peu d’audace pour créer chaque fois un plat original, parfois surprenant, mais toujours unique. kiD kOALA nous présente son nouveau projet « the Space Cadet Headphone Concert ». Déguisé en tenue de koala et armé d’une pluie d’effets visuels et autres maquettes. What do you get when you put together afrobeat legend Fela Kuti and rap pioneers De La Soul? and 8 carefully-chosen acapellas from the Native Tongue rap trio De La Soul, Amerigo seamlessly intertwines the two into something completely new and original. De la grande visite à Montréal la semaine prochaine! Mista Dunkelbunt débarque avec son band de Secret Swing Society pour mettre de la couleur dans nos vies. Cet excellent musicien et producteur va donner un show mémorable que vous n’êtes pas prêt d’oublier. Oeuvrant aussi bien dans la sphère du Balkan Beat que de l’ElectroSwing, le reggae, il combine ses influences multiples en un résultât rafraichissant qui ne peut que vous mettre de bonne humeur. Produit en collaboration avec Balkan Beat Montrealeast, Speakeasy Electro Swing et Camuz . avec DJ Touski, Khalil, Don Mescal, and Eliazar. [dunkelbunt] aka Ulf Lindemann surely counts among the most influential global beat troubadours of the early 21st century. Not only is he known for his work as a composer, producer, DJ, radio editor and multi-instrumentalist, but also for his exquisit remixes of and cooperations with international artists such as Balkan Beat Box, Amsterdam Klezmer Band, Boban Markovic Orkestar, Fanfare Ciocarlia, Watcha Clan, Harry Stoijka, 17Hippies and Waldeck, just to name a few. This year, he’ll take another musical step forward, by finally fulfilling a long-nourished dream: performing his own material with a full band line-up, including Percussions, Keyboards, Clarinette, Guitar, Bass, Beat Box, Horns, Vocals and of course himself on Piano and Electronics (among others…). Lindemann started his musical career as a youngster with producing Hip Hop and electronic music. Later on he studied Jazzpiano, began to work as a DJ and organised and hosted live-performances and clubnights. Born and raised in Hamburg, Germany, Lindemann moved to Vienna in 2001. Initially inspired by its rich electronic music scene, he quickly fell for Vienna’s unique cultural “Melange”, its musical diversity that unites influences of traditional music from the Balkan to the Orient. „The world offers a breathtaking plurality of music”, he says. “It wouldn´t cross my mind to settle for only one style.” The result is the unmistakable [dunkelbunt] sound, where Dub, Hip Hop and Dancehall meet Electro-Swing, Balkan Beatz and Urban Klezmer. [dunkelbunt] is a traveller on behalf of the music, his mission is the search for an harmoniuos whole. Therefore he travels the planet, armed with open eyes and ears and a microphone, to collect sounds, colours, smells and all kinds of sensual impressions. Although his musical essence is based upon the south-eastern corners of Europe, sounds from all around the world are to be enjoyed: from Vienna to the Balkans, through Anatolia and the Middle East, to India, North Africa, all the way to South America, to Jamaica and then straight to the swinging North American Thirties. 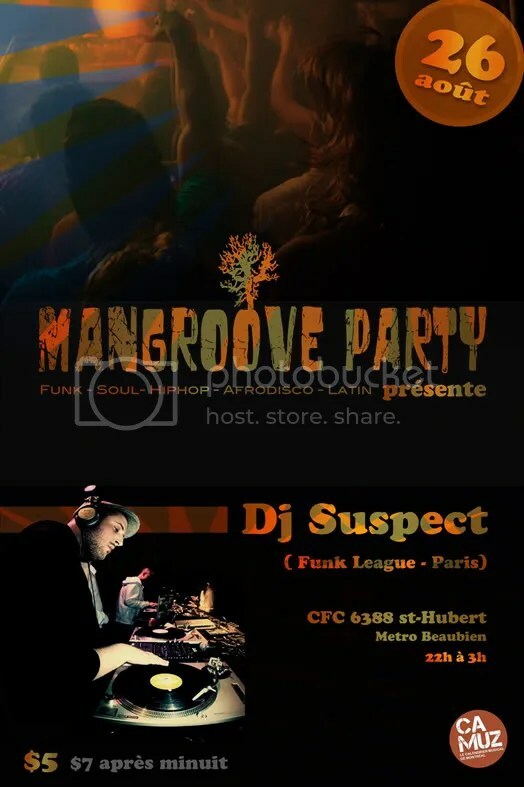 Mangroove est de retour de vacances avec une très belle soirée en perspective le vendredi 26 Aout au CFC. 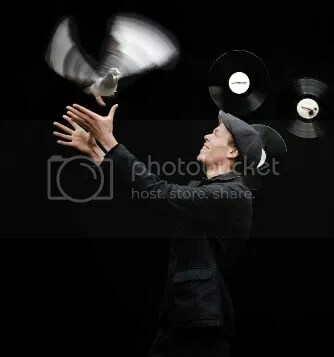 Producteur, pourvoyeur de disques explosifs, il bouscule les frontières musicales dans ses sets de funk, hiphop, jazz et groove en tout genre. Il est devenu en quelques années une référence en Europe. Moitie du duo de producteurs de la Funk League, il a sorti 3 maxis sur lesquels sont notamment invites les mytiques Sadat X, Large Professor, Diamond D.
Il vient également de son sortir un cd mixe my favorite thing, une selection des meilleurs sorti du très bon label parisien Favorite Records.